* Please go to our Phonics page for more information regarding phonics. 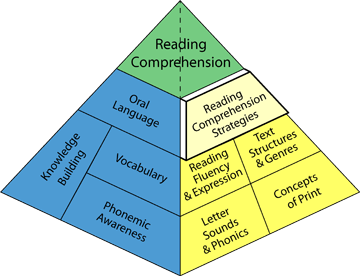 Good comprehension draws from linguistic knowledge (in particular of vocabulary and grammar) and on knowledge of the world. Comprehension skills develop through pupils’ experience of high-quality discussion with adults, as well as from reading and discussing a range of stories, poems and non-fiction. Reading widely and often increases pupils’ vocabulary because they encounter words they would rarely hear or use in everyday speech. Reading also feeds pupils’ imagination and opens up a treasure-house of wonder and joy for curious young minds.